See America, Allergan’s initiative to fight against preventable blindness in the United States, today unveiled a powerful video featuring award-winning actor and hip-hop artist Common, that urges Americans to “stand in the way of darkness”. The video harnesses Common’s striking spoken word ability, calling on Americans to fight against vision loss and prioritize their vision. Common highlights the 61 million Americans at-risk of severe vision loss, and challenges us all to imagine a life without sight. 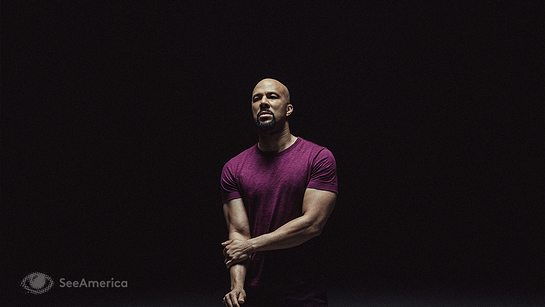 Common’s involvement echoes the mission of Allergan’s See America initiative by raising awareness to make sure that each and every one of us makes the time to prioritize our vision. Taking steps as simple as regular comprehensive eye exams can help detect eye diseases like glaucoma, diabetic retinopathy or age-related macular degeneration early, before irreversible damage is done. On Common’s partnership with See America, “We are excited to have joined forces with Common to raise awareness of the important issue of preventable blindness in America. This video marks the first of many ways in which we aim to educate and engage the public. 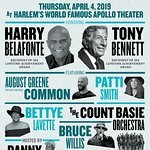 Common shares our bold approach to life, and we believe that this video will take us one step closer to nationwide appreciation for the gift of sight,” said Herm Cukier, Allergan Senior Vice President of Eye Care. To watch the video, and to learn more about See America, visit www.SeeAmerica.vision.